This article shows how organizations with multiple account holders can invite another user on their organization's account to a videoconference session. 1. Log into the website to access your Dashboard. Schedule a new session for right now (it will prepopulate the date and time). 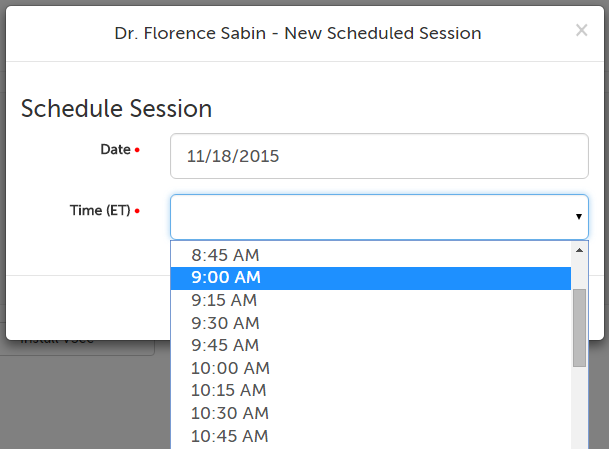 Schedule a new session for a future time (you choose the date and time). 2. 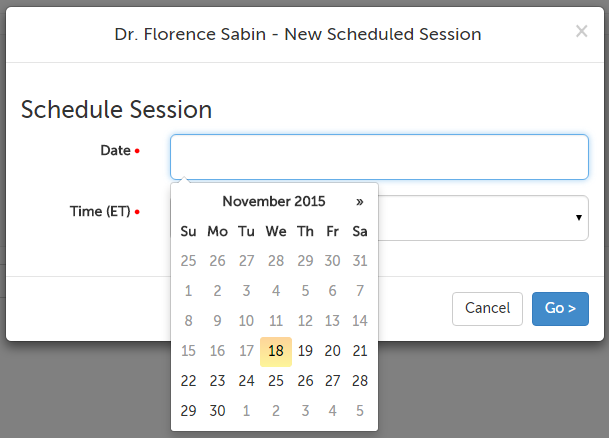 Once the date and time is selected, or if you chose New Session Now, you will be prompted to enter information for your participant. Start entering the name of your colleague, and look for their name in the autofill. It should be followed by the name of your company in parentheses. 3. Once you select your colleague's name and click elsewhere on the message, the message will shrink. (This is because they will receive their invitation according to their own preferences; e-mail or text.) Click "Save".